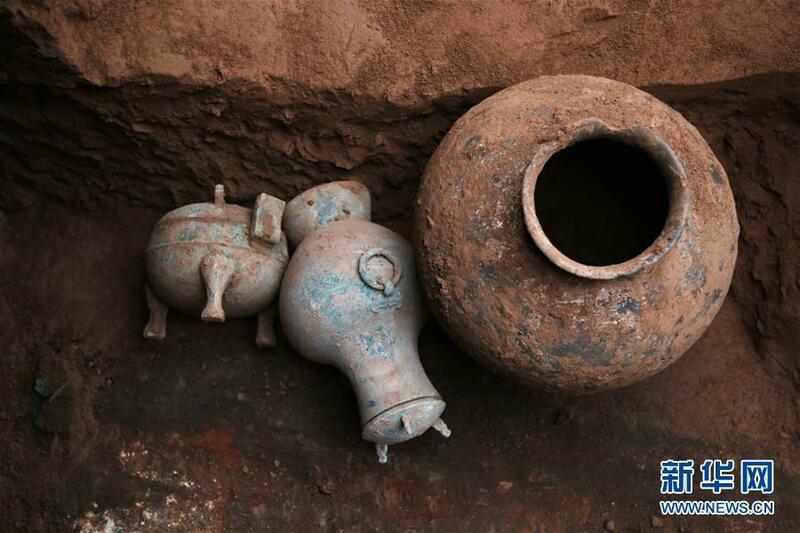 Archaeologists have unearthed a bronze kettle containing liquor from a Qin Dynasty tomb, dating back more than 2,000 years in West China's Shaanxi province. The kettle is a sacrificial vessel. It was among among 260 items unearthed from a graveyard of commoners' tombs from the Qin Dynasty (221-207 BC). Most of the relics were for worshiping rituals. 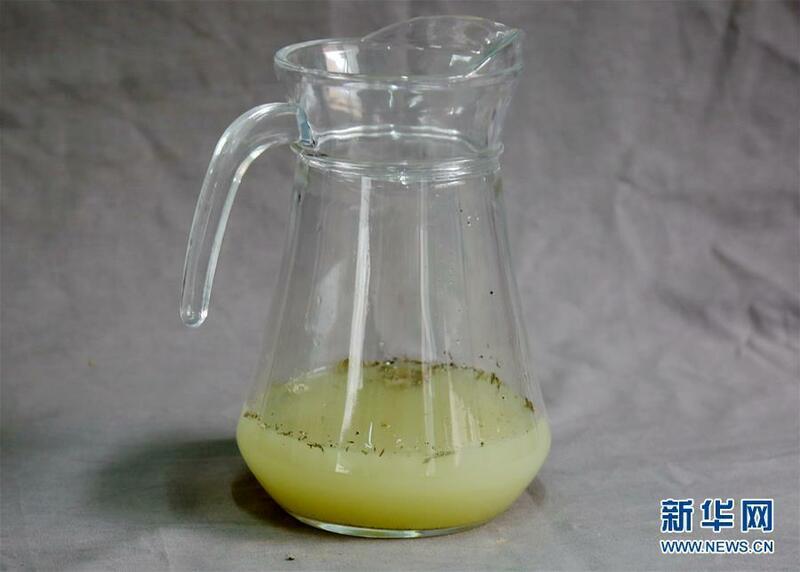 Xu Weihong, a researcher with the provincial archeological institute, said about 300 ml of liquor was found in the kettle, which had its opening sealed with natural fibers. The liquor is a transparent milky white. Researchers believed it was made using fermentation techniques, as it was composed of glutamic acid substances. Researchers need to further study the liquor to better understand the brewing technology and wine drinking culture in Xianyang, the ancient capital of the Qin Dynasty. Also discovered in the tombs was a bronze sword 60-centimeters long. The sword has octahedrons in the middle, which increases the weapon's effectiveness. There are also breaches on the edge of the sword, suggesting it was used in war. Another important finding is a turtle plastron shell 14-centimeters long. There are a dozen punches inside the shell, and burn marks on its edge. The characters suggest that it was used by a fortune-teller for divination. Researchers are trying to build up a picture of life in the capital of China's first empire by studying the relics.